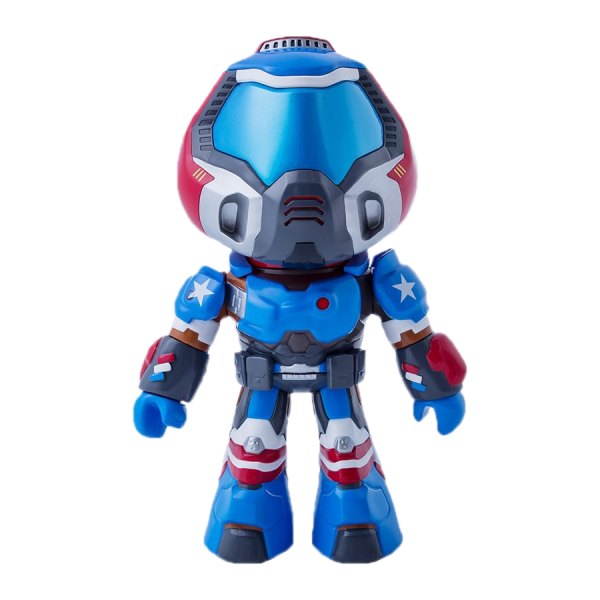 Formerly known as an in-game collectible, this cute, 9" tall DOOM Marine came to life and has moveable arms, just like his in-game counterpart. This one comes in the unique "Patriot Guy" color variant. If you press on his chest, he plays the beginning of the famous tune from E1M1! Manufactured by Gamingheads.